How many times have you walked over to the rowing machine at the gym and found the damper set at 10, or put it there yourself? If rowing seems like a whole lot of pain and very little gain, that may just be why. 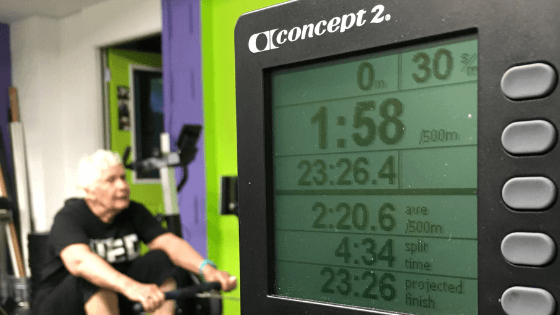 Experienced rowers, and certified indoor rowing instructors know that setting the damper at 10 is the way to create a rowing workout that’s a slog, and one that most likely will be the absolute opposite of fun or energizing. Who needs that, especially when it’s not the least bit necessary?? Take a walk around the rows of ergs at the C.R.A.S.H-B rowing championships and you’ll find many machines set much lower, anywhere between 2 and 5. You see, generating power on the rowing machine is all about connecting the parts of the stroke. It’s NOT about creating more resistance just because you can. 1) Larger or heavier athletes (weight-loss clients or muscle-bound rowers with big thighs, for example) may need a higher damper setting in order to feel some resistance from the machine. This is because at a lower setting their own bodyweight does most of the work so they don’t have to put in any extra effort to move the flywheel. In these cases, a higher setting that adds more load can be the ticket to a great sweat. 2) To teach power application: Rowing at a higher damper setting – for short periods and ONLY at a low stroke rating (below 20 strokes per minute) – is also a useful way to teach any rower to develop power through correct engagement and to help them dial in their rowing technique. When you row at a high damper setting, you’re essentially picking up a dead flywheel every stroke. Doing this without risking injury requires you to have impeccable technique: You need to make sure that you’re using your legs and not your back to initiate the drive. 3-minute paddle rest between rounds. Remember to focus intently on your technique and posture – let the drive come from your legs and core engagement. What questions do you have about damper setting? Post them to the comments and we’ll answer! Does the sound of yet another 3k rowing warm up make you want to stick needles in your eyes? Or has your usual warmup turned into a chatfest because your students are getting a little too comfortable with the steady-state routine? Boredom is the enemy of progress, even in the warmup. Mix it up! Try getting outside and back on the “playground” for your next rowing workout warm up. Off-erg warmups in general are a super smart – and super fun – way to get your athletes prepped and sweaty for a good SkiErg or rowing workout. A fast-paced round of moves like jumping jacks, skipping and hopscotch will get your students’ blood pumping and warm up the key muscles used in rowing. These moves also offer some important work on balance, agility and coordination, which are critical as we age. practice. That one is especially important if you’re doing senior fitness, but really everyone can use it. We are fortunate at the UCanRow2 Bodyshop to have a 450-meter loop around our gym. To do this warmup, walk or jog the first loop. 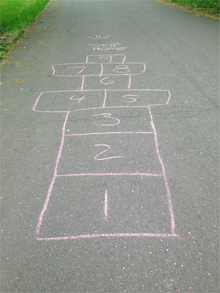 On the second time around break it up about every 25 meters with moves including air squats, jumping jacks, backwards walking or running, lunges or hopscotch. If you want to ramp it up, use dumbbells and do a lap with farmer’s carries, waiter walks, etc. It helps that the Bodyshop loop ends with a deceptively challenging hill, but even on a flat track you could make this a great warmup. What’s your favorite warmup, playground or otherwise? Tell us in the comments and we’ll share! The rowing machine is finally getting its due. Hallelujah! Where once it was the Rodney Dangerfield of the fitness world, sitting sad and lonely in a corner of the gym, the machine that on-water rowers have used for decades has become the IT home and gym fitness machine. Today, with the arrival of indoor rowing in studios, gyms, CrossFit boxes and homes around the world, people are starting to pay a whole lot more attention to this wonder of a total-body fitness machine. That growth is a great thing, but it also means that there’s a lot of bad rowing technique out there. At UCanRow2 we’re on a mission to stop bad rowing, in part by helping to demistify it. Yes, you can absolutely become a complete rowing nerd and analyze every little bit of your stroke. Rowers and coaches alike at facilities like the Craftsbury Outdoor Center love to do that. Indeed, it’s a great part of the sport: the relentless pursuit of the perfect stroke. 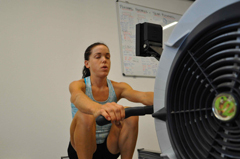 Too often, people make indoor rowing sound much harder than it has to be, both in terms of the effort required to get good results and the technique needed to get there. Sure, there are plenty of finer points to rowing technique that can make it challenging. Golf is the same way. But both are fun, even if you don’t have everything mastered. Yes, you can use the erg as your personal torture device (ask anyone who’s ever rowed 2000 meters for time) but the rowing machine is good for so much more than that. Whether you want to row hard or just take it easy, the rowing machine is there for you. It will meet you where you are, and then take you as far as you want to go. 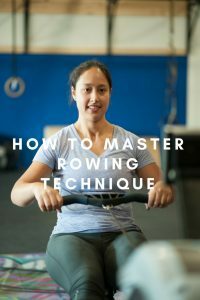 The basic rowing motion is pretty simple, especially when you learn it from someone who’s been trained to teach it to you. Our Certified Indoor Rowing Instructors preach a mantra of “legs, body, arms – arms, body, legs” as a quick way to remember the flow of the rowing stroke and which body parts move when. More specifically, from the catch you drive back with the legs, then begin to swing your back towards the rear of the machine, until your torso is roughly at an 11:00 position on a clock. Then and only then (once you feel resistance on the chain) do you start to pull back with the arms. On the recovery, you first release your arms out, then swing forward to 1:00 with your back, and begin to move your legs, only after the handle is past your knees. We call that “boxing out,” or creating a frame for your knees to pop up into. You may be concerned that your rowing technique isn’t “perfect.” Congratulations, you’re a rower! The pursuit of the perfect rowing stroke is as elusive and constant as that of the perfect golf swing. Remember how we said that you will hear rowers all the way from novices up to Olympians discussing the stroke’s finer points and what they’re working on? That’s your cue to stop worrying about having perfect technique. Work on one technique element at a time and have oodles and oodles of patience. INSTRUCTORS: The same applies to your indoor rowing students. Give them just one technique thing to work on at a time. Otherwise you risk overwhelming them, and then they won’t come back. First and foremost, rowing class has to be FUN. Most of us grew up walking, running and biking but NOT rowing. So it makes all the sense in the world that getting the technique down would take practice. No worries! We’re working on ours right along with you. Legs, body, arms — arms, body, legs. Stick with that and you will be well on your way to erging like the pros — and having the physique to prove it. NEED A rowing workout Plan? It’s one thing to sit down on the machine and start pulling on the handle. It’s another to have a plan that’s been put together by the experts. The Meter Monster and Flywheel Frenzy workout programs are designed to help you stay consistent with your workouts and give you a plan to follow, whether you row solo at home or the gym, or you teach rowing class. Got questions about your rowing technique? We have a bunch of training tips you can check out, or post your question below and we’ll get a master instructor to answer it. 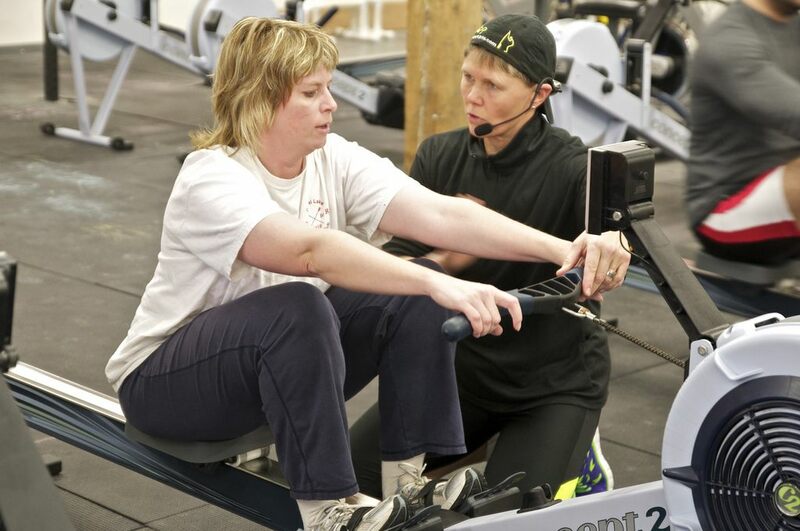 Want to find a certified rowing instructor in your area, check our list. Want to become one yourself? Hop on over to our instructors page and find out how. Here’s a tip to help your rowing students get better flow in their rowing stroke: The cooldown of a workout is a great time to focus in on the zen of rowing. Use that time to close your eyes and feel the motion. Remind your students to FEEL the connection of the stroke, from the drive to the finish to the recovery. Hands away, body over, slowing the slide. Allow your body to feel the fatigue but also the discipline of good technique, even when you’re tired. 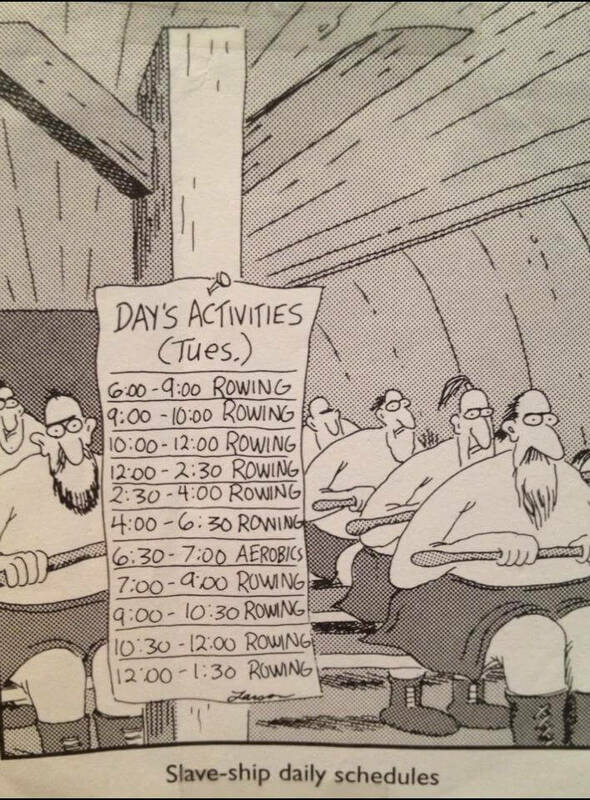 How’s your rowing workout been lately? Would you like to get more of the benefits of rowing machine workouts? We hear all the time from people who say they’re not performing as well as they’d like. They want to get their times down and their meters up but they’re not sure how to do that. The difference between a good workout and a great one is in how you apply power on every stroke. That’s true whether your goals are getting a PR on your next 2K, losing 20 lbs. or simply making the most of the time you have on the machine. In this video, UCanRow2 founder Terry Smythe shows you how to use your monitor to gauge your power output. She also gives you a drill that will help you get faster and stronger on the machine. 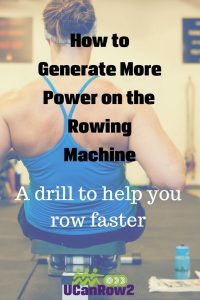 Rowing Technique – Generating Power from UCanRow2 on Vimeo. It takes you as far as you want to go – From easy, relaxing rows to some of the toughest competition in sport, the rowing machine is there for you. Cross training: Rowing is great cross-training, and a great break, for athletes who do other sports. Running, triathlon, skiing, cycling and more. Weight loss: Because the rowing machine is non-impact, and offers such a great variety of workout options, it’s perfect for people who want to lose weight, a little or a lot. What questions do you have about building more power in your stroke and workouts? Post them in the comments below and we’ll answer! Want workouts that put this all together for you, in a downloadable package that’s ready to take to the gym or your home rowing machine? Check out our Meter Monster and Flywheel Frenzy rowing workout programs. Do you have a Concept2 indoor rower at home, or use one at your gym? Are you a competitive indoor rower who’s interested in improving your performance on the machine? Maybe you’ve been rowing for a while and would like to brush up on your indoor rowing technique or get new rowing workout ideas. A new offering from UCanRow2 may be just the ticket: Personalized rowing technique reviews from anywhere in the world with a UCanRow2/Concept2 master instructor via Skype, video or in person. Technique reviews will be led by a UCanRow2/Concept2 master instructor. 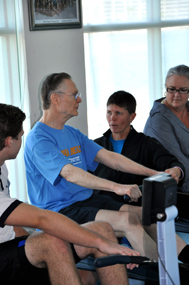 In addition to teaching the Indoor Rowing Basic Course trainings, the master instructors all have years of experience teaching people at all skill levels to row on the water and on the rowing machine. Reviews can be done either via live video (Skype, OoVoo, etc. ), by submitting a video clip of your rowing technique or at an in-person session where the master instructors are located (Currently Washington, D.C. area, Chicago, Seattle, Oakland, CA, and Houghton, MI, and coming soon to several other major US cities). One-hour technique reviews are available for $65 and can be arranged by emailing info@ucanrow2.com. 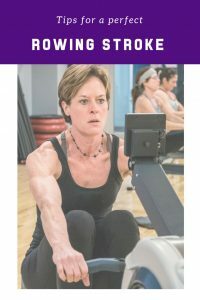 UCanRow2’s Terry Smythe, an indoor and on-water rowing coach with nearly 20 years of experience, answers your questions about rowing technique, rower workouts, teaching rowing and training for rowing. Q: I row at my gym, and the “erging” technique some people have is driving me batty! I don’t want to offend anyone and I’m no expert, but how do I tactfully correct their form so they don’t get hurt and I don’t have to watch it anymore? A: This is the downside of the growth in indoor rowing’s popularity. People see rowing on TV or featured online, and want to try it themselves. The basics of rowing technique are pretty simple, but yes there is a trick to it. People who jump on the rowing machine at the gym often don’t know enough about proper rowing technique to get the most from the machine. As a total-body exercise, rowing is a fabulous way to make that slimmer, fitter you a reality. You’ll get there faster with the right technique. If you see bad rowing happening, approach the facility’s staff and ask if they have certified indoor rowing instructors who can intervene. 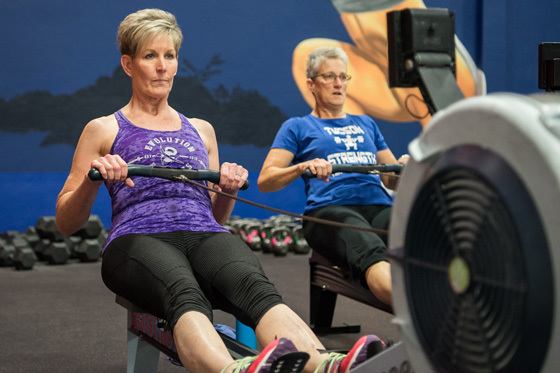 If they do not, as a facility member you should encourage them to get their group fitness instructors and personal trainers certified to teach rowing. Certified instructors are much better equipped to provide workouts that are safe, fun and effective, and it’s the best way for the facility to make sure it gets the most from its investment in rowing equipment. There’s more information on our rowing certification here, and our latest listing of trainings is always available on our rowing certification calendar. Got another sticky question you’d like our coach to tackle? We’re game! Post it below in the comments and we’ll get back to you.